Capo Caccia — Eat Me Drink Me | Food, drink and event experts in West London and beyond. Capo Caccia Fine Food bring a taste of Sardinia to London with their unique range of charcuterie and cheese sourced directly from Sardinian producers. Firm favourites include Percorino Sardo; Pane Carasau – traditional Sardinian flatbread; gluten and lactose-free salami seasoned with fennel, myrtle leaves and sun dried chilli; and more unusual items such as Bottarga, a wonderful dried fish roe known as Sardinian caviar, which can be added to pasta or shaved directly on to vegetables for your next dinner party. 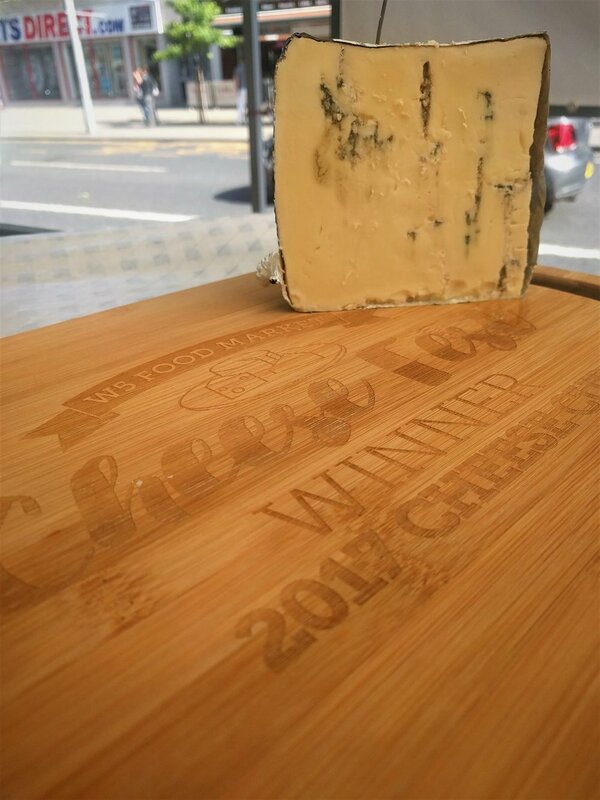 Capo Caccia has entered the Cheese Cup with the ‘Blusard’, a Sardinian cow’s milk blue offering a creamy texture with strong flavour and spicy, fresh herby after taste.